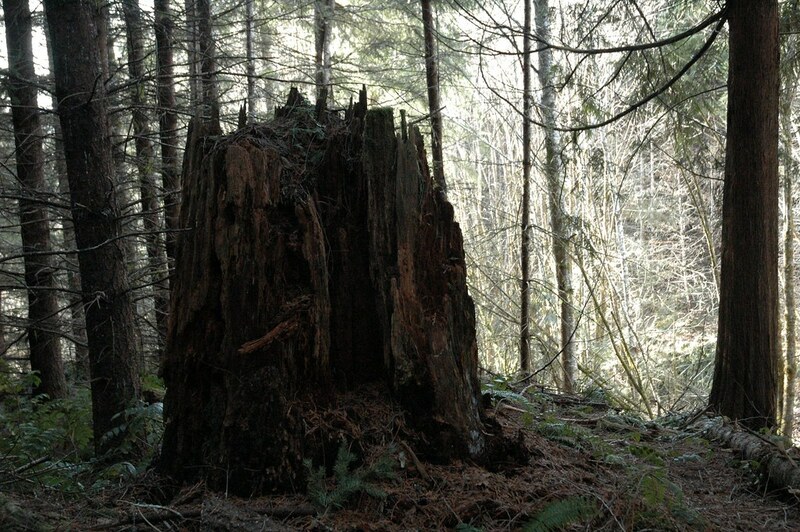 Yesterday, I took an unexpected walk in the woods. It was clearly the less traveled road. What a great time I had! Contentment is undervalued. On this hike, I was content. 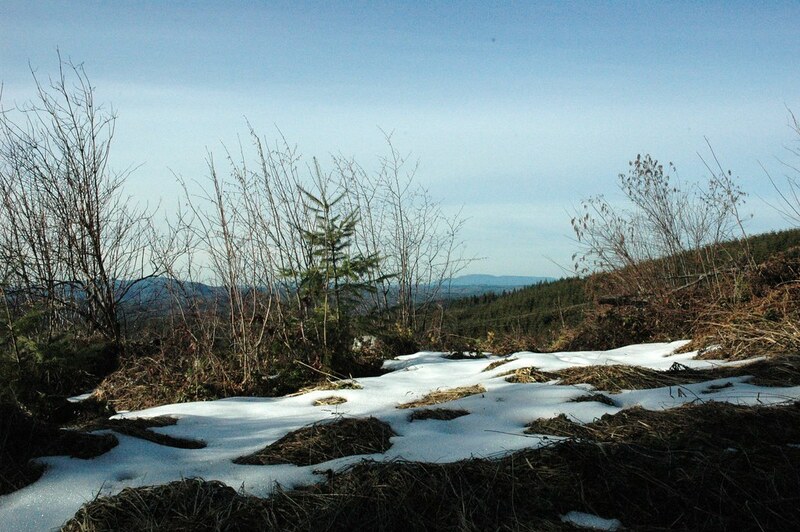 This is the legacy of my forefathers, cutting old growth firs for housing and for income – goes back five generations. The sun was low in the sky, coming from the SW, that’s why I was able to get these pictures. 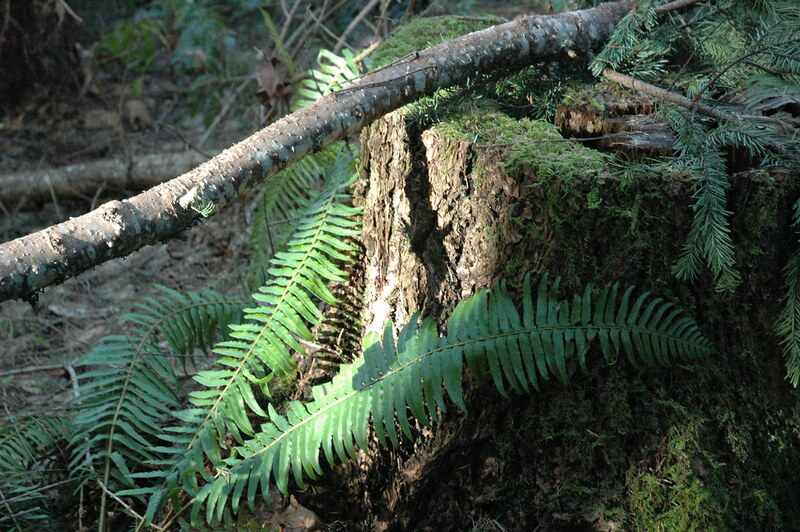 Normally, it is cold, rainy, and gray in the Oregon rain forests. It was a good day for photos. Being the middle of Winter, but looking like Spring, much of the wildlife was still in hiding. I only heard one squirrel who scolded me for entering its territory, and only a few birds were seen this high up. There were no insects. This grove of young Douglas Firs are typical of many throughout the Pacific Northwest, but because it wasn’t rainy, misty, and foggy – with the added benefit of a low Sun, I was able to grab this photo. I experimented with multiple shots, with varying angles and lighting, until I got this one. 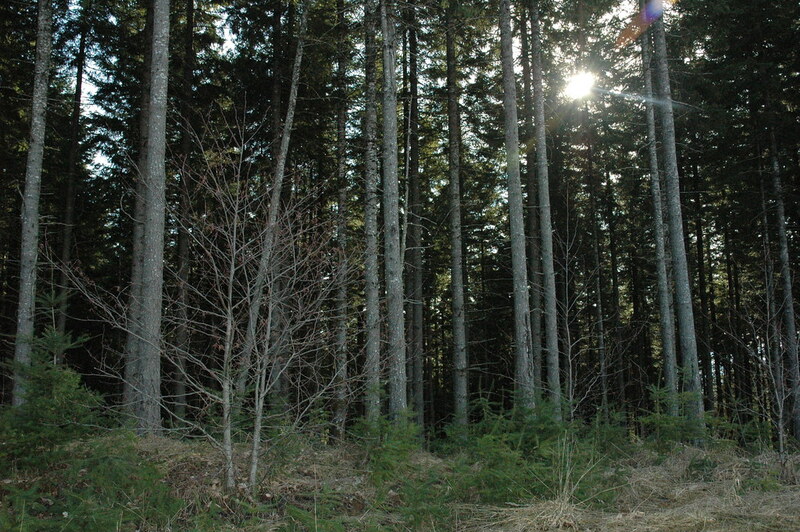 Sunlight is a premium in these fir groves. 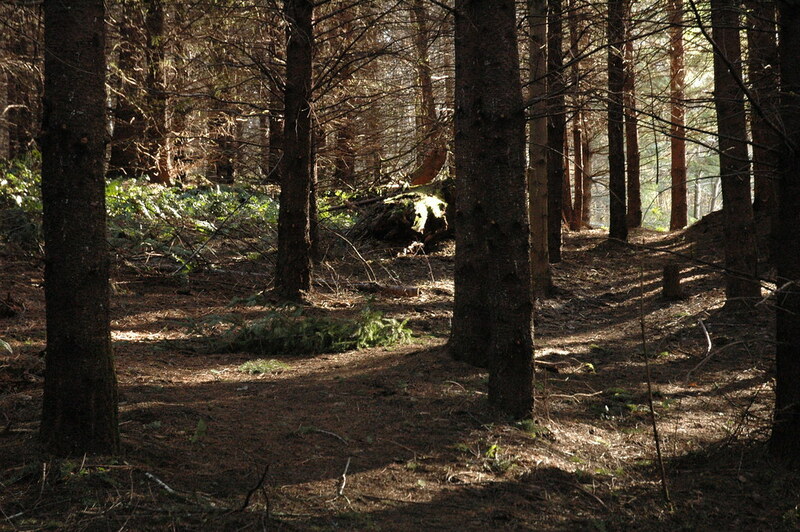 I liked the way it came through the trees. I posted a similar shot on Twitter yesterday, but it was taken from my phone. 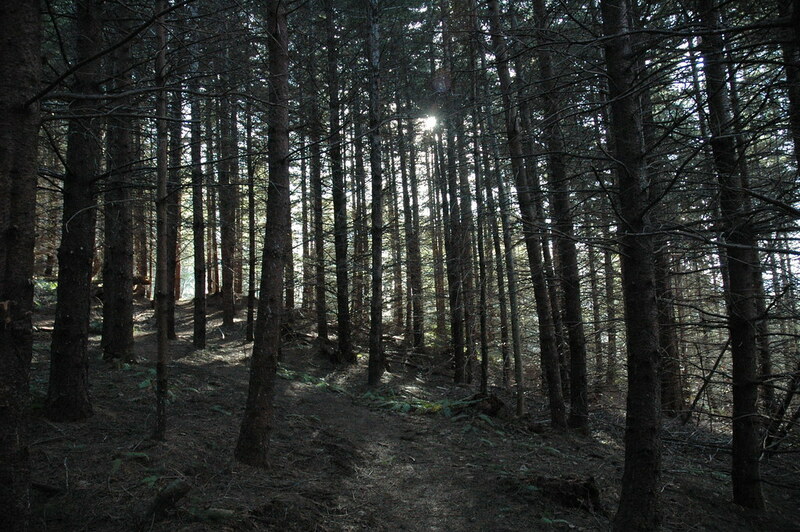 As I posted then: “It feels like I’ve been in this forest thousands of times, yet not, the young douglas firs, the whispering quiet.” It was a great day for a hike! It was also a good day for musing. Life is too full of a-musements, sometimes a little musement is good for the soul. If I had just taken this photo of the skyline, which was beautiful on this early Spring Day, in mid-winter, it would have been boring. To capture the detail of the skyline, you’d miss out on the granduer of the vista. This shot best captured the views I saw yesterday. 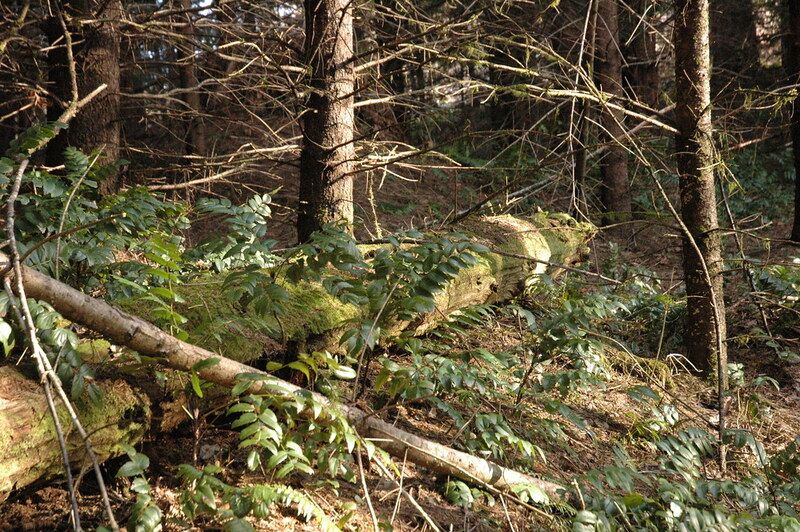 The moss does it’s work in this quiet grove of trees. This looked like the places I’ve camped many times before. Just an idyllic chapel in the forest. Nothing on my mind, no problems to solve, just a day with my Creator God. It was a good one at that. This was taken with my phone, at 50 mph out an open window. 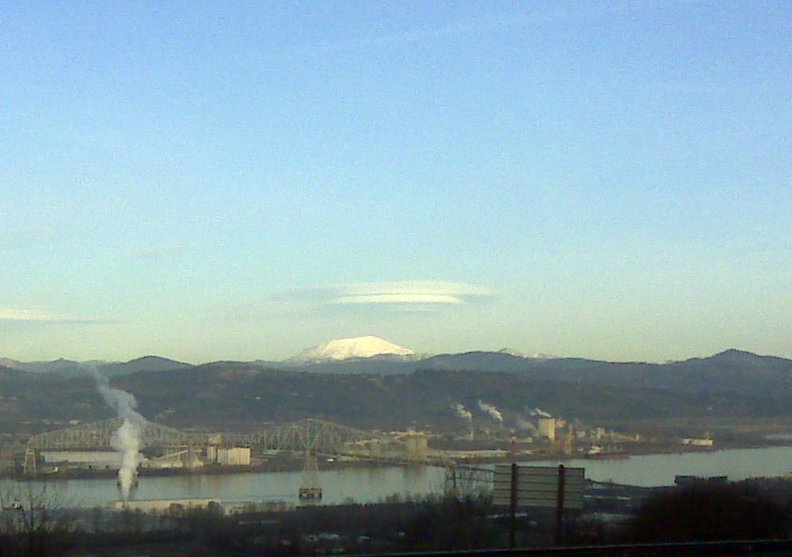 The lenticular clouds are an awesome phenomenon and this view overlooking Rainier – and into Longview-Kelso (and the Lewis & Clark Bridge) – over the Mighty Columbia River is beautiful. The mountain was looming large through my windshield, but the wide-angle lens of the camera just didn’t do justice – even after some photoshopping! This was the last view on my drive home.